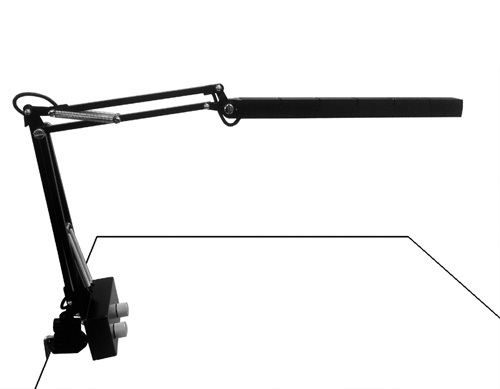 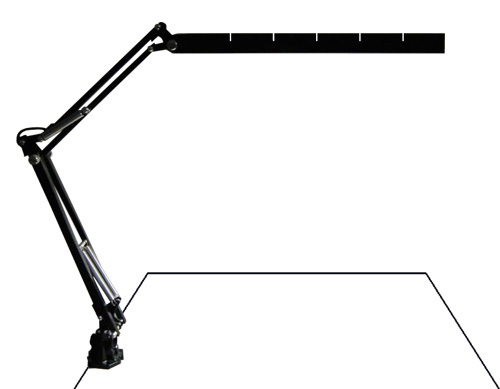 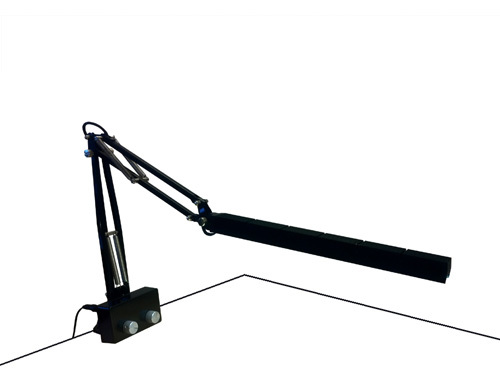 Developped primarily for travel and exhibitions, this foldable desk lamp is also suitable for laboratories and offices. 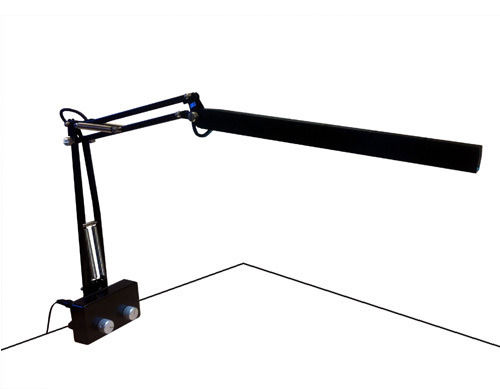 Light and adjustable, it can be fitted with a correlated colour variator (& dimmer) and is delivered either with a round black base (i.e. 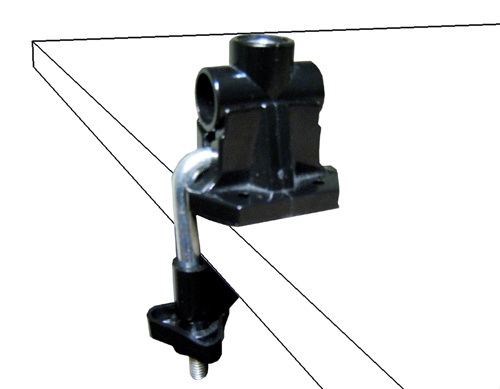 : weight) or an adjustable clamp that will fit any table board.